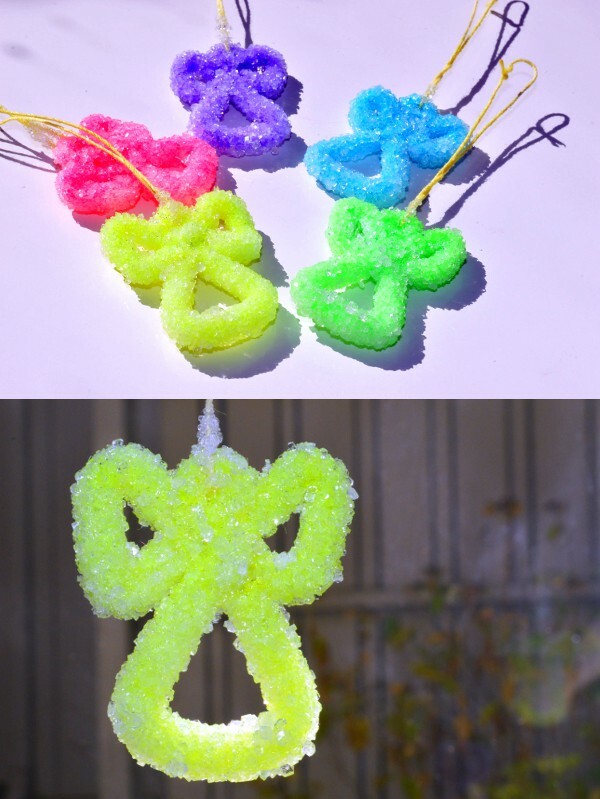 Growing crystal: This is a fun experiment that will surely WOW your little one. 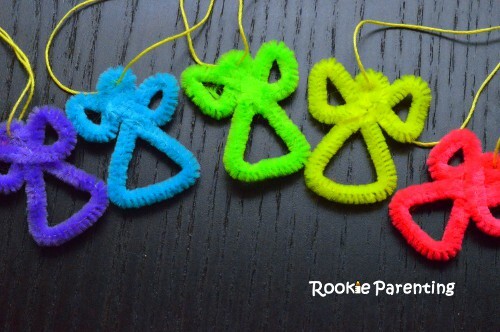 Bend a pipe cleaner into the shape you want to make a crystal out of. This is the step you can use your imagination. Fill the glass with water to around three quarters full. Then use a measuring cup to measure the amount of water used. Carefully pour the boiling water into the glass. 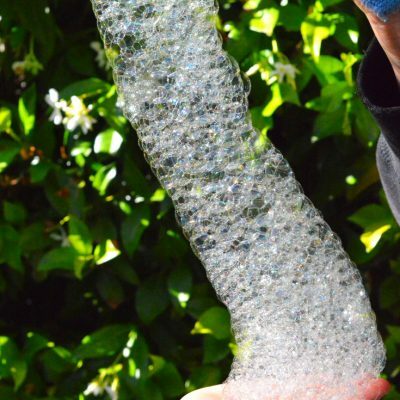 Dissolve plenty of Borax into the hot water. 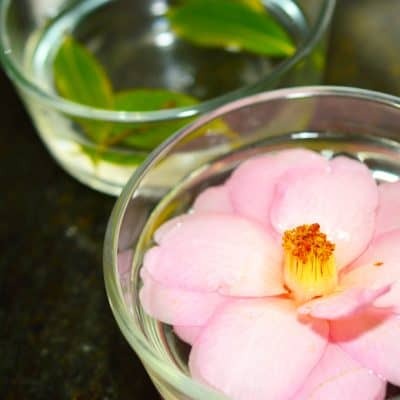 For each cup of water, add 3 tablespoons of Borax. Tie the shape you previously made with a string and hang the shape at the mouth of the glass using the pencil or the stick. 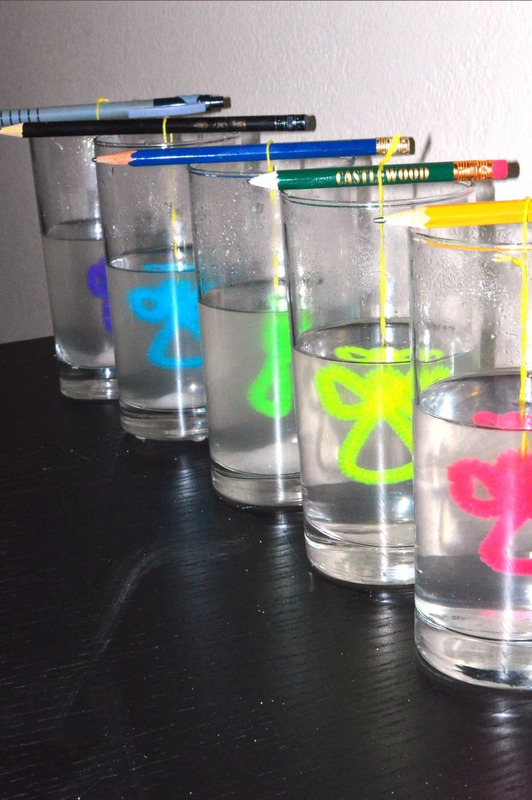 Make sure the pipe cleaner is fully submerged and not touching the side of the glass. Put the glass at an area where it won’t be disturbed for the next hour. Monitor the progress from time to time to get the desired thickness of crystals. 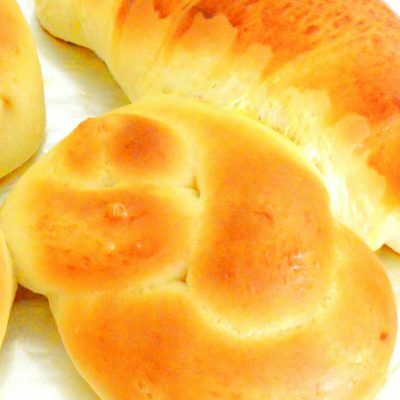 If left overnight, it may become too thick. One of the most salient properties of water is its ability to dissolve other materials. 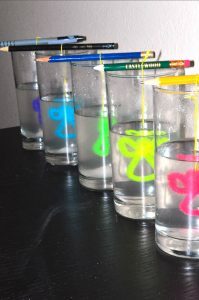 In this experiment, Borax powder was dissolved into the water until the solution is saturated, meaning no more powder can be absorbed. Water can dissolve more powder when it is hot. As the water cools, the powder starts to solidify, i.e. turning from liquid form into the solid form. 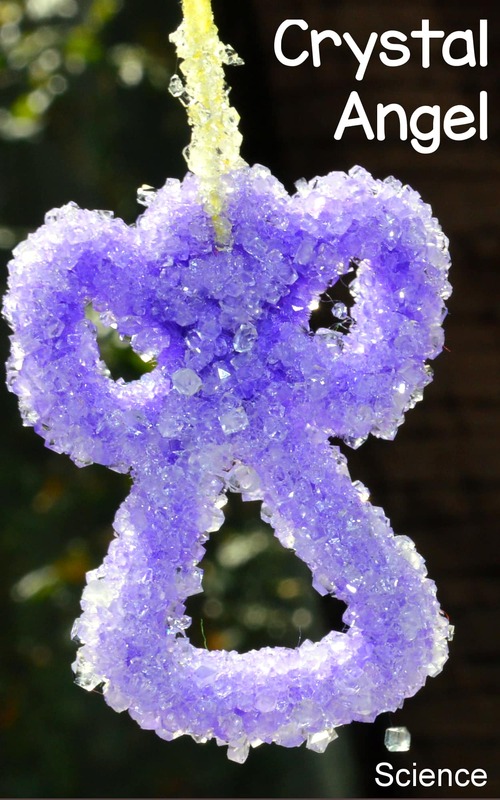 The precipitated solid sticks together and form crystal on the pipe cleaner and on the side of the glass. For more scientific explanations on crystallization, see Nucleation and Crystal Growth.